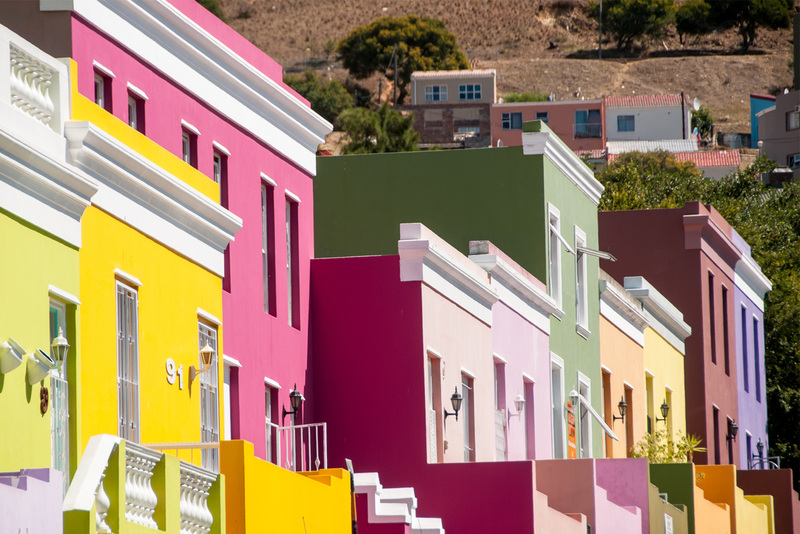 Yip, most of us have our range of grey swatches memorized and marked off in the office because apparently the use of any bright colour in contemporary South African architecture is still a taboo subject. There is a general perception that colour is decorative, unnecessary and somewhat childish. It’s playful and light-hearted and thus not perceived as being serious enough whereas the neutrality of greys and honest materials always seem aesthetically safe. Colour can render a subjective emotional response from people and as such creates a post-card like association, a memory of a place seems to be more potent when rendered in colour. This ability to evoke emotion and subsequently cultivate memory seems to be the exact reason it is perceived as being in bad taste and having meaning. As most things, it comes down to execution and context and when both are appropriate, colour can be disarmingly charming. Within a more contemporary international context there are architects who have managed to incorporate colour in their buildings effectively, whether to add another layer to the materiality of the building or accent certain elements of it. Sauerbruch Hutton, an architecture firm based in Germany are well known for their synthesis of colour in their architecture. The way in which they articulate colour on large scale buildings, in various shades, takes on the same characteristic as texture allowing colour to take on a life of its own; becoming an integral layer in the larger composition. Cologne Oval Offices Building. 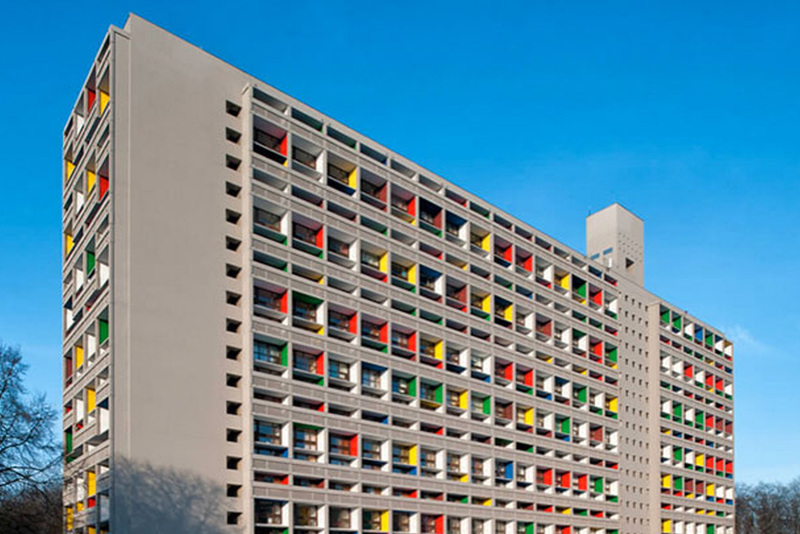 Sauerbruch Hutton. 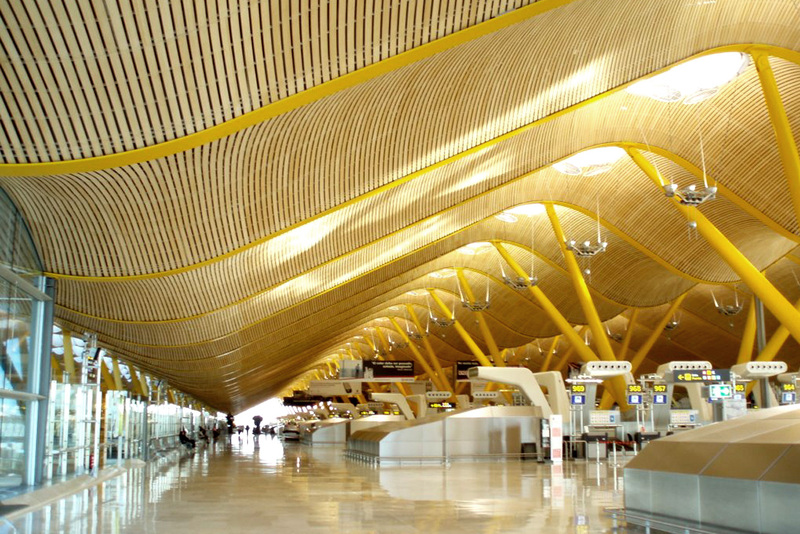 Rogers Stirk Harbour + Partners have used colour as an accent in many of their large buildings, pictured here at Terminal 4 Madrid Barajas Airport, the yellow accent on the undulating line of the steel compliments the malleable nature of the material itself while also picking up tones in the adjacent timber ceiling. 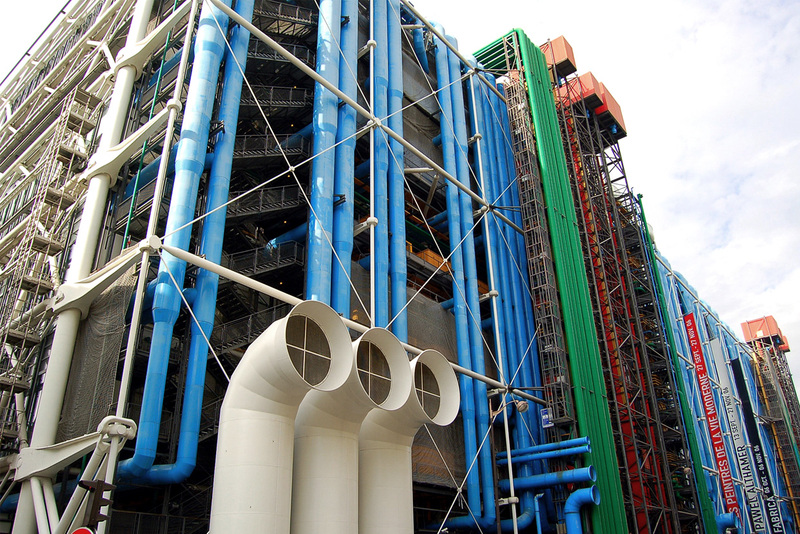 Richard Rogers and Renzo Piano’s Pompidou Centre, exemplifying constructivism and the high-tech aesthetic which was radical for its time, utilized colour to expose the services of the building as opposed to hiding these elements. This honest approach to the articulation of the functional aspects of the building has contributed to one of the most famous and identifiable large public buildings in the world. Colour breaks the banal, grey landscape of our built environment and in its subjectivity manages to evoke interest, if not emotive response. And that is what I am missing from architecture at the moment – response! Give me architecture that engages with me and forces me to feel something; whether it be disgust or admiration. I am not saying that colour is the only way to do this, but it is the easiest and cheapest – and for those who have undertaken any manner of low-cost development know you need it be easy and you need it to be cheap. It is an additional layer, that with sensitivity and care can complement and contribute to the larger project significantly – not the renders or photographs, but the spaces and urban identity. And does this not lend itself to our own urban context? 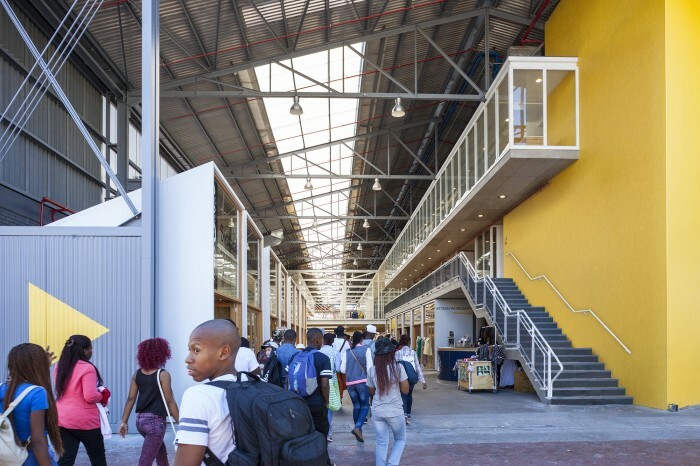 Workshop 17 at the V & A Waterfront by Wolff Architects is intended to function as a series of micro economies contained within a vast re-appropriated shed. It could have easily been a banal mall space but through its honest expression of structure and blocks of colour it is creating a place as opposed to merely a space. I distinctly remember an urbanism lecture which touched upon the use of colour in large low-cost housing developments and while many the modern purists in the class (myself included) would sneer and jest, the point was ownership. When faced with the density of current cities, where the one-house one-erf way of building is really only accessible to a small percentage of wealthy people how do you create a discernable address for someone in a 120-unit apartment block? The brightly coloured apartments used as an example were not my cup of tea but we tend to forget the significance of someone having an identifiable address. It fosters ownership, and ownership fosters responsibility, which contributes to socially sustainable urban development. So why do we abandon colour? 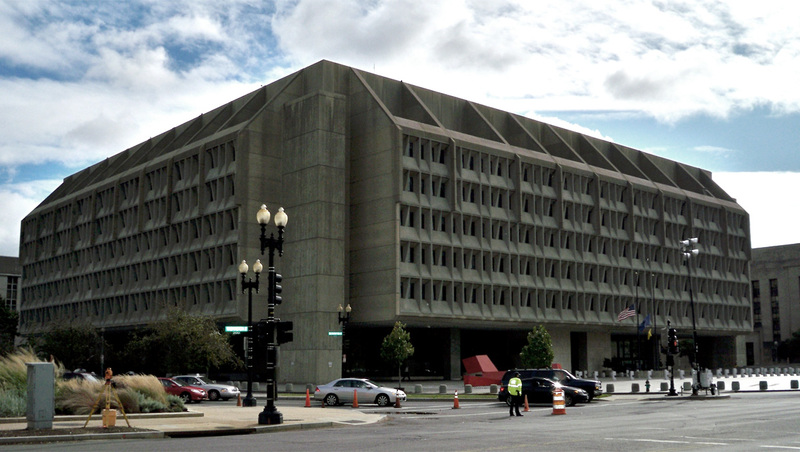 Is it another symptom of our obsession with the international style and its associated aesthetic? Whether to imbue space with subjective engagement through memory and association, or to add a personal touch on behalf of the inhabitants, colour in contemporary architecture deserves consideration.